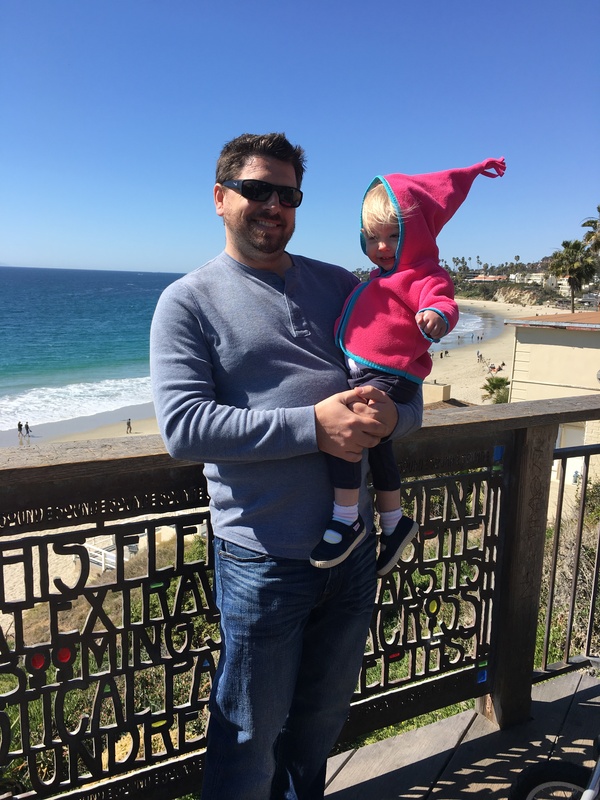 A Winter Sunday in Laguna | The Chambers Family – A.D.
We love Laguna Beach in the winter. There are no crowds. There’s a cool ocean breeze. There is no traffic. It’s clear and feels spacious and lovely. 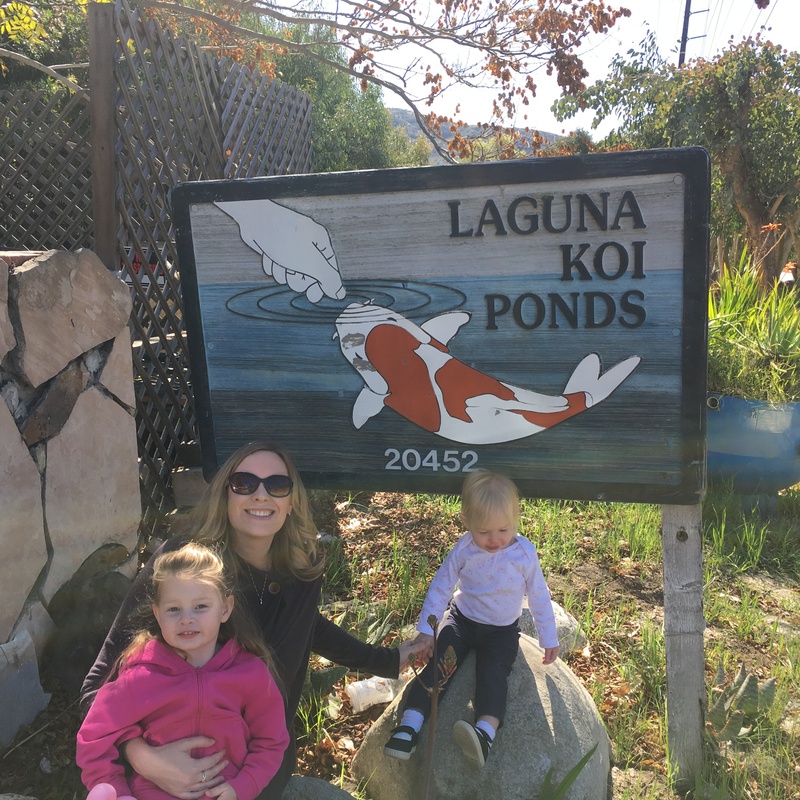 So, a few weeks ago, we drove down Laguna Canyon Rd., stopped to visit the Laguna Koi Ponds, ate lunch downtown, walked around, [carefully] visited the Wyland Gallery, and got some chocolate to go. It was the perfect Sunday family outing! 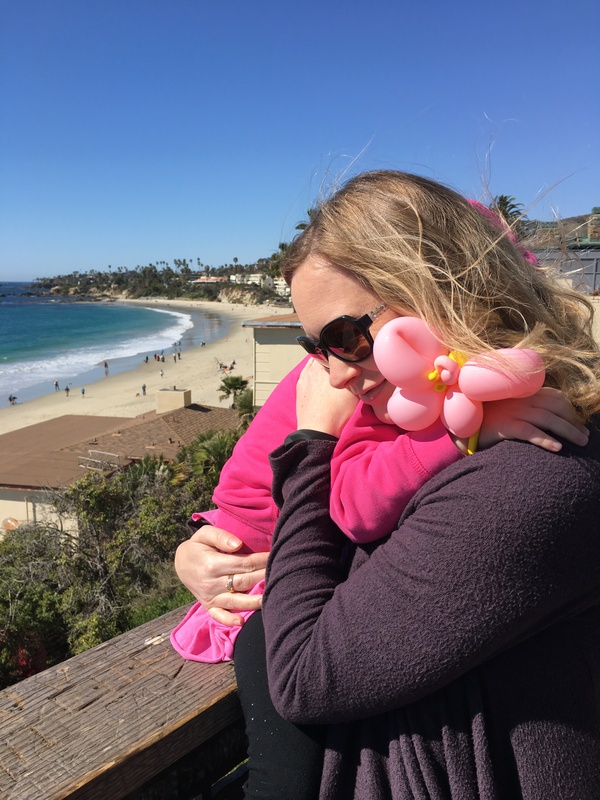 This entry was posted in Arts, Baby, Eating, Sightseeing and tagged GG's Bistro, Laguna Beach, Laguna Koi Ponds, Rocky Mountain Chocolate Factory, Wyland Galleries. Bookmark the permalink. Sounds like a lovely, semi-lazy Sunday. 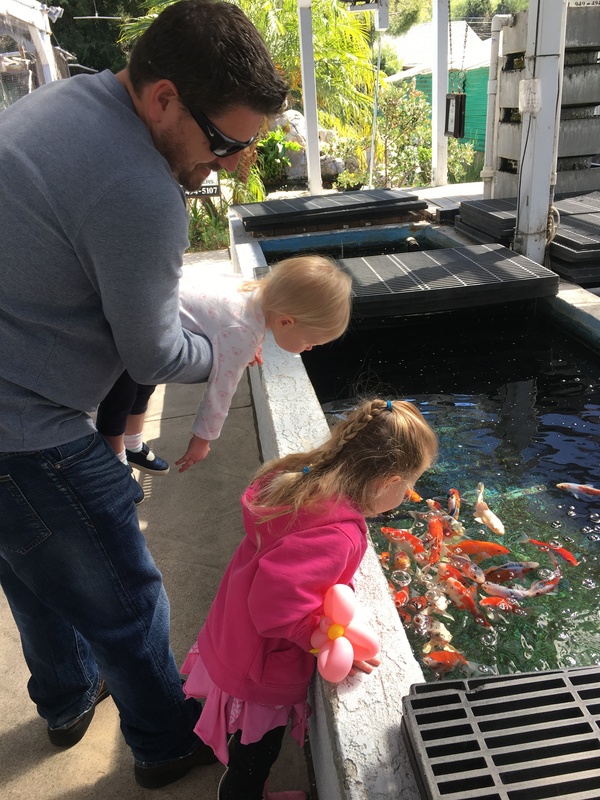 Our kids love fish, and would go crazy to have something like that near us!